Rob Kardashian Deletes All Of His Instagrams (Again), But Does It Mean Something's Up With Blac Chyna? Here's a sentence I have had to write more than once: Rob Kardashian deleted all of his Instagram photos (again). Yes, as of Friday, Sept. 9, Kardashian's Instagram account has once been purged of all pictures, and the reality star is no longer following anyone on the photo-sharing app. Kind of like a toddler throwing a temper tantrum, this is typical behavior for Kardashian, who has previously cleared his Insta several times this year: Once in January, when he wiped all photos from his account, and a second time in July, when he initially took down all photos of his fiancée Blac Chyna and then just deleted all photos from the app. But what does it all mean now? Does his Insta purge have anything to do with his relationship status with Chyna? For what it's worth, it seems like Kardashian deletes all his photos when he wants a fresh start. The first time he did it, on January 20, was just five days before he and Chyna revealed that they were dating — which they subtly ~announced~ on the app. Between then and July 25 (the second time Kardashian purged his Insta), he and Chyna spent months cultivating their relationship on the 'gram, announcing everything from their pregnancy to their engagement on their favorite form of social media. But on July 25, Kardashian wiped everything Chyna-related on his account, which E! News attributed to the two getting into a fight. "He was so pissed at how she spoke to him, so he deleted everything about her to hurt her," a source claimed at the time. Of course, following their volatile relationship, the two quickly made up and Chyna once again infiltrated Kardashian's Insta — until now. TBH, I wouldn't be surprised if Kardashian's Friday afternoon social media purge is a way to drum up publicity for the premiere of his and Chyna's reality show, Rob & Chyna, which debuts on Sunday, Sept. 11. I'm definitely raising a skeptical eyebrow about the timing of all of this. 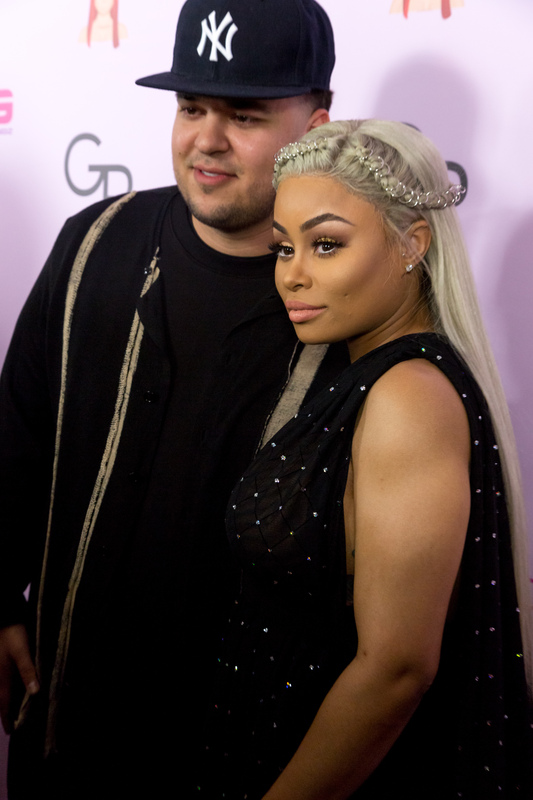 Especially because it seemed like all was copacetic in Kardashian and Chyna land on Thursday, when the couple spoke to Ryan Seacrest about their relationship. While they acknowledged that their relationship and extended family dynamics were "complicated" and things did move quickly, Kardashian also spent a large chunk of time discussing what he finds so attractive about Chyna (the answer: how she cares for her son, King), and how she helped get him out of his depression and reclusive living. Still, in the world of Kardashian and Chyna, it's also entirely possible that in the time they spoke to Seacrest and Kardashian deleted his pictures, they got into a tiff and Kardashian reacted by purging his social media. It makes sense, obviously, since it's reportedly happened before. As for what really went down in this instance, well, it looks like only time — and maybe Rob & Chyna — will tell. As for now, I'm gonna go ahead and wager a guess that Kardashian's Instagram will once again be up and running in time for the premiere of their E! series on Sunday.